The six-part suspense drama is set in 1965 LA, premiering on TNT Jan. 28. The true crime story, created by Sam Sheridan and directed by Patty Jenkins (Wonder Woman), also draws from memoirs by Hodel’s illegitimate granddaughter Fauna Hodel and son, Steve Hodel. Chris Pine stars as Jay Singletary, a (fictitious) LA investigative reporter whose career is derailed when he accuses wealthy, well-connected Hodel (Jefferson Mays) of murder. The series shifts into high gear when Jay befriends Fauna (India Eisley), who is searching for her roots. Her teenaged mother Tamar gave Fauna up for adoption by Jimmie Lee (Golden Brooks), an African American, claiming on the birth certificate that Fauna’s father was African American. Even though Fauna always looked white, she grew up believing she was racially mixed. While the central mystery may not be enough to keep today’s viewers enthralled, “I Am the Night” is far more complex than just another “who done it.” Fauna is torn between two worlds, as she discovers how differently people treat you when they think you are an Anglo. While Korean War veteran Jay is obviously still suffering from PTSD, and self-medicating with alcohol. One of the more interesting characters Fauna encounters is Dr. Hodel’s artistic, aristocratic ex-wife, Corrina Huffington (played by Connie Nielson, Queen Hippolyta in “Wonder Woman”).She introduces the naïve Fauna to the 1960s modern art scene, which is filled with phonies. At some point in the series, you won’t be able to resist googling Dr. Hodel, wondering how so much evil could exist in plain sight. Mays’ portrayal of the doctor, who boasted a genius IQ and always felt superior to those around him, is chilling. 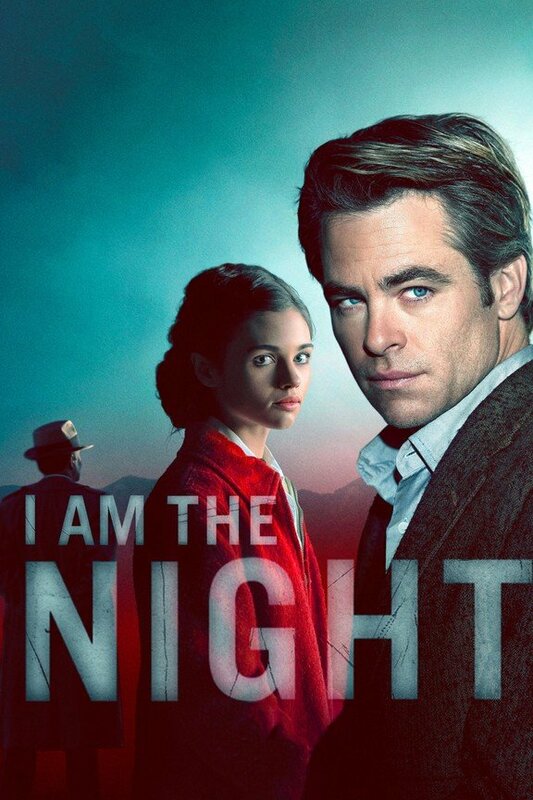 Be warned: “I Am the Night” will grab you with the first episode, casting a spell that keeps you riveted to the screen for all six episodes. At least, that’s what it did to me. TNT and Cadence13 are introducing an eight-part podcast Jan. 30 as a companion piece to “I Am the Night.” “Root of Evil: The True Story of the Hodel Family and the Black Dahlia,” is hosted by Fauna Hodel’s daughters, Yvette Gentile and Rasha Pecoraro. Executive produced by Emmy® award-winner Zak Levitt, the podcast explores the family’s secrets and struggles carrying the Hodel name, and features interviews with a number of family members.